His ambivalent interpretation of the word “terrorism” could be applied to an actor such as Iran and Syria-backed Hezbollah, a militia and political party representing Shia interests in Lebanon. According to the United States, Canada and Israel, all of Hezbollah (including its elected parliamentary faction) qualifies as a terrorist organization. According to the European Union and Australia, only the militia qualifies as a terrorist organization. They deem the political wing of Hezbollah as legitimate. 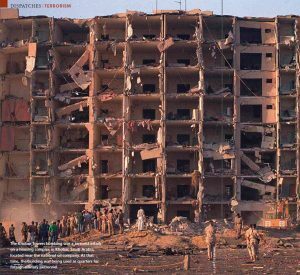 Hezbollah’s large-scale attacks include the 1983 truck bombing at the U.S. Embassy in Beirut, the 1984 hijacking of a Kuwait Airways plane and the murder of two U.S. passengers, the 1992 suicide bombing at the Israeli Embassy in Buenos Aires and the 1996 truck bombing at the U.S. section of the Khobar Towers in Saudi Arabia. Hezbollah has and continues to play an important role in Lebanese politics and society to the point where it has become a state within a state that offers and operates a multitude of social services. Indeed, Hezbollah’s militia serves as Lebanon’s de-facto army. Hezbollah’s fundraising networks operate in North America, Latin America, Europe, Africa and Asia. Historically, the term terrorism refers to the Reign of Terror, a phase of the French Revolution during which the Committee of Public Safety under Maximilien Robespierre arrested and executed thousands to protect the revolution from its enemies, real or imaginary. Robespierre, for his part, justified this violence by the state against its citizens as follows: “If the mainspring of popular government in peacetime is virtue, amid revolution it is, at the same time, virtue and terror: virtue, without which terror is fatal; terror, without which virtue is impotent. Terror is nothing but prompt, severe, inflexible justice; it is therefore an emanation of virtue. It is less a special principle than a consequence of the general principle of democracy applied to our country’s most pressing needs.” Ultimately, Robespierre’s approach proved unsustainable and damaged the credibility of the revolution in creating the conditions that led to the rise of Napoleon and the eventual return of the Bourbons. Contemporary theories of terrorism have reversed the relationship just described. Whereas Robespierre’s theory of terrorism sees it as a legitimate tool with which the state may protect itself against its enemies, modern theories focus on terrorism as the last resort of small groups who see the state as their enemy and aim to achieve sweeping political change through violence. Indeed, modern states now have to consider the possibility of “lone wolves” who act on their own, with little help, if any, from others. Within this context, the role of technology is important. New information technologies are helping to radicalize individuals and greatly enhance the murderousness of their actions. On the whole, these larger perspectives on terrorism are not mutually exclusive. Consider Iran, a state with its own fair share of Robespierre-like figures. Its government has a well-documented history of committing acts against its own civilian population to maintain order inside its borders — Iran’s Revolutionary Guard crushed an uprising by ethnic Kurds soon after the revolution — and it has sponsored terrorist acts outside them. The United States considers Iran the world’s “most active state sponsor of terrorism,” and the U.S. Department of Defense estimates Iran supports Hezbollah with roughly $100 million to $200 million annually. U.S. officials also suspect Iran provided training and arms to Taliban fighters. Ultimately, both perspectives point to the inherently political nature of terrorism and terrorist acts. This pertains to excluded or persecuted groups seeking remedy for ideological, ethnic or religious grievances, or for ideologues pursuing religious and/or territorial goals. The following list recognizes some of terrorism’s most dangerous practitioners, chosen with two main criteria. First, they believe warfare is first and foremost a matter of motivation and organization. Accordingly, all but one of the figures on this list are considered senior leaders. Second, the list aims for a degree of regional diversity in recognizing that terrorism comes in many local forms. This said, each of the individuals on this list is a member of the Muslim world and each but one is committed to some measure of Islamic jihad, with some more sincere than others. Through their rejection of democratic values and demands for theocratic government, these individuals stand apart from the majority of peace-loving Muslims. As such, these individuals do not appear as representatives of a religion nominally practised by 1.2 billion. If anything, they are using religion as a veneer to legitimize their grievances with the secular dictatorships that have historically dominated most of the Middle East and their western enablers, whom they accuse of corrupting Islam and its values. Abu Bakr al-Baghdadi may consider himself Caliph of the Islamic State (IS) and he may command several thousand men in a space that stretches across northern Syria and Iraq. Yet the entity that al-Baghdadi claims to govern might be more a metaphysical construct whose major purpose consists of convincing followers he is capable of historic feats. Despite the fact that al-Baghdadi has managed to transform parts of two independent states into a laboratory of theocratic governance, it is highly unlikely that he will be able to consolidate that space into a viable state. Ideas, however, still matter and ideas have their consequences. Since IS fighters captured large swaths of northern Iraq and Syria in June 2014, they have massacred thousands and threatened entire groups of people with genocide. 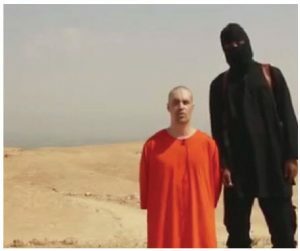 Despite this wholesale aggression, they are likely best known for their horrifying beheading of Westerners (such as James Foley, Steven Sotloff, David Haines, and more recently, Haruna Yukawa and Kenji Goto Jogo) and non-Westerners alike. Notably though, IS appears to reserve the most gruesome forms of execution for Muslims, as was the case for Muath Al-Kasaesbeh, the Jordanian pilot IS burned alive. But if the depravity of IS appears well documented, we know little of the man who conceived it. Al-Baghdadi might be the current face of global jihad, but information about him does not go far beyond basic biographical information. Born in 1971, in the Iraqi city of Samarra, as Awad Ibrahim al-Badri, al-Baghdadi trained as an imam and claims to be a direct descendant of Muhammad. Following the American invasion of Iraq in 2003, he joined the resistance against the infidel invaders, who eventually arrested him. A bus parked near a terminal in central Baghdad, Iraq, was destroyed by two car bombs in a 2005 attack orchestrated by Sunnis stepping up their insurgency in protest of the Shi’ite government. But al-Baghdadi regained his freedom in 2004 after an American commission reviewing his case urged his immediate release — a fateful decision in retrospect. While in prison, he had made contact with local al-Qaeda, whom he eventually joined to fight under the leadership of Abu Musab al-Zarqawi, the founder of the Islamic State in Iraq. Following al-Zarqawi’s violent death in 2006 during the U.S.-led “surge” against Islamist groups, al-Baghdadi eventually assumed leadership of the group. Al-Baghdadi’s foray into the Syrian civil war dates back to 2012 when he dispatched troops to fight the regime of Bashar al-Assad. As part of this move, al-Baghdadi sought to merge his organization with the local al-Qaeda affiliate, al-Nusra Front. Al-Qaeda’s leader, Ayman al-Zawahiri, however, forbade the merger, a decision that led to a break between al-Baghdadi and al-Zawahiri. As Magnus Ranstorp, a research director at the Swedish National Defence College, told Der Spiegel last year, this split can be read as a larger generational conflict between competing types of jihadists. Eventually, al-Baghdadi’s mixture of barbarism, brutality and bribery carried the day as much of al-Nusra switched sides. Conventional accounts frame the emergence of IS as a sudden, unforeseen development, a narrative that German author Bruno Schirra recently challenged in his 2015 book ISIS – Der globale Dschihad (jihad). Mr. Schirra argues that al-Baghdadi and IS arose in the slipstream of al-Zarqawi. As such, IS appears as a legacy of the U.S. invasion and its various failures, chief among them not establishing a competent government that could reconcile the majority Shia and minority Sunni interests. Instead, the Shia-dominated government went out of its way to anger Sunnis, thereby creating a recruiting tool for al-Baghdadi. The same day terrorists attacked the offices of satirical magazine Charlie Hebdo in Paris, Nigerians were also mourning the victims of multiple terror attacks in northeastern Nigeria by the Abubakar Shekau-led Boko Haram that had claimed hundreds, if not thousands, of victims around the same time as the Paris attacks. 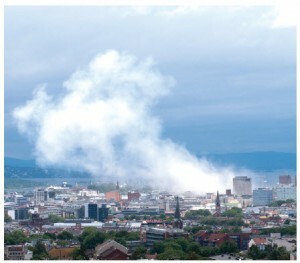 Oslo, Norway, immediately after the 2011 terrorist attack perpetrated by Anders Behring Breivik. He killed eight people by setting off a van bomb amid government buildings and then opened fire on a summer camp, killing 69 participants. Events in the Middle East, and elsewhere, however, have overshadowed this chaos, an unfortunate development. Boko Haram’s brutality is only comparable to the level displayed by the Islamic State and Boko Haram has matched IS’s tactics, if not its territorial acquisitiveness. According to an estimate by the British newspaper The Telegraph, Boko Haram controls an area the size of Costa Rica or Slovakia that is home to 1.7 million people, no small accomplishment for a diffuse group, whose active membership ranges in the hundreds to low thousands, according to estimates from the U.S. State Department. Other parallels between the two groups have also appeared. Both are bent on carving out political space governed by Sharia law. Both have managed to overwhelm local security. Despite some recent successes, the Nigerian army has been no less feeble in stopping Boko Haram than the Iraqi army in dealing with IS. Indeed, Nigeria has followed Iraq in accepting foreign assistance. 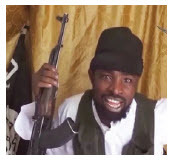 Finally, both Boko Haram and IS are led by individuals about whom the global community knows little beyond whatever propaganda messages they release for consumption. If we accept the premise that al-Qaeda is a multinational enterprise with subsidiaries around the world, a case can be made that its current CEO, Ayman al-Zawahiri, has revived a global brand that appeared to some to be spent after its founding leader, Osama bin Laden, died at the hands of American Navy SEALs in May 2011. What appears even more remarkable is the fact that the person responsible for this revival once suffered the stigma of being a symbol of the malaise that had gripped al-Qaeda following the violent death of its figurehead. While various al-Qaeda affiliates had been making names for themselves in North Africa, the Middle East and around the world, the core of al-Qaeda found its operational freedom increasingly limited by American military and security forces. The days of striking highly symbolic western targets were long gone when al-Zawahiri, the group’s ideological mastermind, assumed operational command. This reality must have particularly riled al-Zawahiri. The 63-year-old Egyptian-born surgeon had, after all, organized the 9/11 attacks, the apex of al-Qaeda’s global influence. Since then, the group has experienced a creeping, but inexorable decline and al-Qaeda’s entire agenda of redeeming the Arab world by returning it to glory days of the 7th Century seemed done after young, western-oriented protesters had toppled the likes of Tunisia’s Ben Ali and Egypt’s Hosni Mubarak during the Arab Spring. Subsequent events have since shown that this ephemeral moment in the history of the Arab world has actually allowed al-Qaeda to recover its momentum. In a tragic turn of fate, the incomplete revolutions that roiled the Arab world left behind uncertainty and chaos, fertile ground for al-Qaeda’s message. Granted, other groups, such as IS, have copied and further radicalized this message, drawing away al-Qaeda’s resources and recruits. 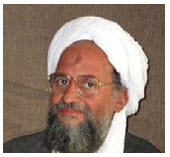 But al-Qaeda remains a player, thanks in part to al-Zawahiri and his institutional knowledge. While al-Zawahiri has taken a public backseat to more charismatic figures inside and outside the al-Qaeda fold, his influence remains evident by the number of groups who choose to affiliate with the organization. Indeed, al-Zawahiri took to the air himself last September to announce the creation of a new branch called Qaedat al-Jihad in the Indian Subcontinent. And if we were to read the U.S. State Department’s Reward for Justice program as a Forbes-like list of the world’s most infamous terrorists, al-Zawahiri would top it. Only he commands a bounty of up to $25 million. It is not entirely clear what, if any, role al-Wuhayshi’s al-Qaeda in the Arabian Peninsula (AQAP) played in the attacks that killed 17 individuals in Paris in early January. One, possibly both, of the Kouachi brothers who massacred 12 individuals in and near the offices of the French satirical magazine, Charlie Hebdo, on Jan. 7 had travelled to Yemen in the summer of 2011 to receive some form of weapons training. Indeed, Inspire, AQAP’s English-language online magazine had published a ‘Wanted dead or alive’ graphic last spring that included the name of Charlie Hebdo’s editor, who was known simply as “Charb.” He was shot to death during the attack. Various reports citing Western intelligence sources have generally dismissed the possibility of a direct link between the Paris attacks and AQAP. For one, it is not consistent with recent al-Qaeda behaviour. As the Economist has noted, al-Qaeda and its affiliates are focusing their energies on “the near enemy, not the far enemy.” While attacks on Western targets might be inspiring, the magazine noted, al-Qaeda’s over-arching aim remains the establishment of a caliphate across the Islamic world based on Sharia law. 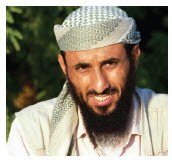 By that standard, al-Wuhayshi must surely rank among the most competent al-Qaeda franchisees. 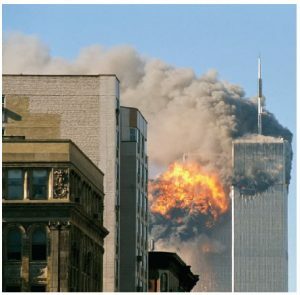 The 9/11 attacks on the World Trade Center, pictured here as United Airlines Flight 175 hit the south tower, was the most deadly act of terrorism of many orchestrated against the West by al-Qaeda. Considered an apprentice of Osama bin Laden, al-Wuhayshi served as his personal secretary before Iranian authorities captured him. Extradited to Yemen, he eventually escaped a maximum-security prison in 2006. Since then, he has committed himself to the cause of creating a caliphate. While efforts to overthrow the Saudi government have failed, the group has made a global name for itself both by attacking Western targets in Yemen and by AQAP’s online magazine Inspire. In 2009, it even attempted to bring down a plane bound for Detroit by way of a suicide bomber who had stuffed explosives in his underwear and was unable to detonate them beyond causing a small fire. And in 2010, it shipped bombs from Yemen to synagogues in Chicago. But al-Wuhayshi’s biggest achievements so far have been of a local nature. The 38-year-old Yemeni has managed to destabilize his place of birth by entrenching his organization deep into its society and stands to be one of the central beneficiaries of the chaotic conditions that have gripped the country since Shia rebels, known as Houthis, chased away its Western-backed government in January 2015. While AQAP is deeply hostile towards the Houthis, AQAP’s capture of the capital city of Sana’a has only deepened the fissures that threaten to fracture Yemen. In turn, the absence of any government will allow al-Wuhayshi to consolidate his gains and create what many would consider to be a horror scenario: a large training group and operating base for terrorists from around the world near one of the most important global shipping lanes and the Saudi-Arabian oilfields. It is no wonder then that the United States has invested considerable effort and energy in denuding al-Wuhayshi’s group. According to The Long War Journal, published by the Foundation for the Defense of Democracies, a self-described non-profit, non-partisan American policy institute, the United States has conducted 111 covert airstrikes against terrorist targets in Yemen since 2002, with enemy deaths numbering 546 and civilian deaths numbering 105, as of Feb. 21. As for al-Wuhayshi personally, he is among the six individuals who rank behind Ayman al-Zawahiri on the U.S. State Department’s Reward for Justice program, with a bounty of $10 million on his head. If the nature of terrorism reflects the intellectual tenor of the times during which it occurs, we can easily make the case that most of the men on this list exist almost exclusively within the context of a radicalized Islam that seeks to redeem a world corrupted by foreign ideas. To be clear, this commentary does not attempt to absolve them of their actions. It instead aims to place them into a larger tableau. Sirajuddin Haqqani comes by his place on this list via family ties. In the 1970s, Pakistan’s Inter-services Intelligence Agency (ISI) started to sponsor Sirajuddin Haqqani’s father, Jalaluddin, in opposition to Daoud Khan, the Soviet-backed leader of Afghanistan. This sponsorship intensified after the Soviet invasion of Afghanistan and ISI eventually made Haqqani’s militia one of the main recipients of American-made weapons to be aimed at Soviet occupiers. A capable and courageous mujahedeen during the 1980s, Jalaluddin eventually joined the Taliban government that assumed power in the early 1990s following the humiliating departure of the Soviets. Efforts to win Jalaluddin over to the Western cause, following the events of 9/11 and the arrival of American troops in Afghanistan, failed and his militia eventually joined the resistance against the U.S.-led coalition. Experts estimate that the Haqqani Network (as the militia is known) controls about 10,000 men. They rank it among the most effective of the anti-Western forces that have sought to destabilize Afghanistan as part of efforts to establish a nationalistic government based on Sharia law. One reason for the group’s effectiveness is its ethnic cohesion. 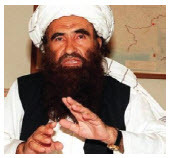 Control of the group has remained within a small circle of Haqqani family members, all of whom are Pashtuns. In this sense, Sirajuddin is only one of the many Haqqanis who has followed the family patriarch, Jalaluddin, into a life of combating foreign armies and ideas via terror. Washington holds Sirajuddin, who was born circa 1973, according to the U.S. State Department, responsible for several deadly attacks against coalition forces and the attempted assassination of Afghan president Hamid Karzai in 2008. Designated a global terrorist, Sirajuddin maintains close ties with the Taliban and al-Qaeda, ties first developed by his father. And like his father, Sirajuddin may have also successfully resisted and outlasted a superpower. The United States has placed a bounty of $10 million on his head. Algeria, Libya, Mali, Mauritania and Niger: These are just some of the countries where Abu Musab Abdel Wadoud has made his influence felt. 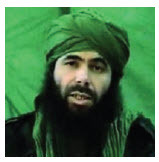 Also known as Abdelmalek Droukdel, Wadoud currently leads al-Qaeda in the Islamic Maghreb (AQIM), an al-Qaeda franchise that emerged out of the Salafist Group for Preaching and Combat (GSPC), an Algerian terrorist group whose roots reach back to that country’s civil war. Wadoud’s central contribution consists of transforming what was once a domestic terror group into a regional player. His actions have caused considerable consternation in several African and European capitals. This process began in 2004, when Wadoud assumed leadership of GSPC. Fewer than three years later, the group had changed its name to AQIM after affiliating itself with Osama bin Laden’s al-Qaeda. Hezbollah posters such as these went up in the aftermath of the 2006 Lebanon War, also known as the Israeli-Hezbollah War. This move earned AQIM access to previously unavailable resources and increased its lethality as it adopted terror techniques traditionally associated with al-Qaeda, including suicide bombings. The founding basis of this arrangement between Wadoud and bin Laden was their mutual desire to replace the authoritarian, but secular governments of North Africa (including Algeria’s) with Islamic regimes. But this agenda suffered a serious setback in 2011 when pro-democratic forces toppled repressive regimes in Tunisia, Egypt and Libya during the Arab Spring. Bin Laden’s death the same year only added to the annus horribilis for global jihadists. But al-Qaeda and its various affiliates, including AQIM, have proven themselves to be far more resilient than believed. Indeed, they have profited from the political instability that followed the Arab Spring. AQIM, for example, has been a direct beneficiary of the chaos that gripped the Sahel region following the collapse of Libya’s Gadhafi regime in 2011. With much of the region ungoverned, Wadoud’s group has been able to expand its operational footprint. This development also proved to be profitable for the bottom line of AQIM, already said to be the wealthiest of al-Qaeda’s franchises. Current revenue sources include an extensive network of trans-Saharan smuggling routes and the kidnapping of Western foreigners for ransom. European governments, especially France, have tried to restore order in the region, but efforts so far have met with only modest success. Alluding to the ungovernable border region between Afghanistan and Pakistan, some experts have come to describe the region as Sahelistan. If so, the 44-year-old Algerian-born Wadoud may well be its emir. And if we are to believe various experts, Wadoud’s group is also capable of striking in Europe, where AQIM can count on 500 sympathizers in various European countries, including France, Spain and Germany. For a man with a multimillion-dollar bounty on his head, Hafiz Muhammad Saeed seems rather sanguine about his status as one of the most wanted terrorists in the world. 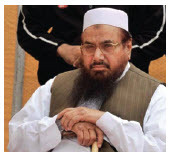 Head of Lashkar-e-Taiba, Saeed is the person many believe to be responsible for the terrorist attacks that killed more than 160 and injured more than 300 people in the Indian city of Mumbai in 2008. Before this attack, the group had focused its activities on the Kashmir region. Saeed currently occupies a middle-class home in the Pakistani city of Lahore and makes regular appearances on Pakistani talk shows. Indeed, it would not be a stretch to suggest that Saeed, who holds two master’s degrees and specialized in Islamic studies and Arabic, lives rather an ordinary life — at least by the standards of the other individuals on this list. Saeed’s mundane existence certainly mocks Washington, which has offered $10 million for tips leading to his conviction. This dollar figure does not seem to faze Saaed. “I move about like an ordinary person — that’s my style,” he told the New York Times in 2013. “My fate is in the hands of God, not America.” Such expressions of humility, however, diminish the far-reaching influence that Saeed has had on Earth, especially on the section across which India, Pakistan and Afghanistan stretch. As founder and reputed leader of Lashkar-e-Taiba, Saeed sits at the very top of a tightly hierarchical organization that is more than just a terrorist or militant organization. While its official rhetoric articulates familiar refrains about global jihad, its actual agenda appears more local. According to the British newspaper The Guardian, the group aims to unite the contested territory of Kashmir with Pakistan by changing the dynamics of India, Pakistan and Afghanistan through destabilizing attacks against civilian targets that specifically exclude Muslims. But this method is only one of many in the group’s arsenal. It operates a range of social services, maintains ties with multiple political parties and enjoys tacit support from the Pakistani military. As The New Yorker’s Steve Coll says, Saeed’s group is “a three-dimensional political and social movement with an armed wing, not merely a terrorist or paramilitary outfit.” Recent years have seen the group shift towards political rather than violent means, but it still possesses significant resources, with terrorist camps spread across Pakistan. And despite statements to the contrary, the Pakistani military still seems to see value in what The Times calls “good jihadists” such as Saeed. His ability to freely roam the streets of Lahore says as much. Naturally, it goes without saying that India would scarcely use the same adjective to describe Saeed. Is Mohammed Deif, the commander of Hamas’s military wing, still alive? A letter bearing his signature and posted in late January on the website of Hezbollah-run Al-Manar TV claims as much. Israeli bombs targeted Deif on Aug. 20, 2014 during Operation Protective Edge, the Israeli military operation in the Hamas-ruled Gaza Strip that officially took place between July 8 and Aug. 26, 2014. The operation itself, which responded to Hamas rocket attacks following the death of a Palestinian teenager at the hands of three Israeli youth, claimed a conflicting number of deaths. The United Nations says at least 2,104 Palestinians died, including 1,462 civilians, of whom 495 were children and 253 women, according to a BBC report. According to this same report, 66 military personnel died. As The Washington Post wrote in early August, Deif is “enemy number one” for Israelis. “Deif has tormented the Jewish state for three decades, deploying suicide bombers and directing the kidnapping of Israeli soldiers,” it notes. According to the Post, Israeli officials believe Deif has been the mastermind of Hamas’s strategy of firing rockets at civilian targets and building up the network of tunnels with which Hamas could supply the isolated Gaza Strip and infiltrate Israel. Experts note that Operation Protective Edge has severely denuded Hamas, both in terms of materiel and personnel. But it is not clear whether Deif was among those killed. Over the years, he has survived several assassination attempts, earning him the nickname “the cat with nine lives.” Whether he had one of those left on Aug. 20 remains a matter of speculation. Khaled Mashal, the political head of Hamas, told Vanity Fair in an interview that Mohammed Deif is alive. “Israelis failed to kill him … he will continue to fight the Israeli aggression and occupation. We have proof.” Mashal, however, failed to offer this proof, noting that Deif is a “military man who hardly ever turned up in public, even before the war.” Indeed. Born in 1965 in a Palestinian refuge camp, Deif has remained a shadowy figure of whom little is known. Indeed, the Post notes that ”no one even knows whether Deif is his real name” and rumours place him in a wheelchair following an Israeli assassination attempt in 2006 that also cost him an eye and an arm. The fact that we still know little of Deif after the last assassination attempt suggests, though, that he is still alive. Compared to the other terrorists listed here, Al-Munawar ranks in the third tier of individuals for whose conviction the U.S. State Department has offered a reward — in this case, a figure of up to $5 million. Al-Munawar earned this status, which he shares with 46 other individuals, for his part in the hijacking of Pan Am Flight 73 in the Pakistani city of Karachi in 1986. Unlike contemporary terrorist groups, the FRC did not draw inspiration from a radical interpretation of religious doctrine. It was secular and it struck targets — Western airplanes and airports, among others — that today’s terrorists have either abandoned or been foiled from executing since a post-9/11 security revolution. But if Al-Munawar’s agenda and actions reflect an earlier era of terrorism, his biography reaches deep into the present. Pakistani security forces apprehended Al-Munawar and his comrades 16 hours after they stormed the plane in 1986, and then a Pakistani court sentenced the four, plus a fifth man, to death. 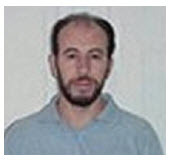 All, however, eventually gained their freedom, beginning in 2001 with ringleader Zayd Hassan Abd al-Latif Safarini, who was arrested again in Thailand on his way to Jordan after his release. Sentenced to 160 years in prison in Colorado, Safarini reiterated during his U.S. trial what the group had revealed during their trial in Pakistan, namely that they wanted to use the aircraft as a pawn to secure the release of imprisoned comrades and eventually launch it as a missile against a high-profile Israeli target — in short, stage 9/11 before 9/11. As for Al-Munawar himself, he remains at large. More than one year after Russia’s illegal annexation of Crimea, Ukraine remains a grinding fault line of international tensions. Pinched by the unacceptable territorial drift of its large Russian neighbour, Ukraine has sought shelter in the Western world, only to find out that many of its leaders have remained rather coy about welcoming the country into their fold, notwithstanding their supportive rhetoric. With no immediate resolution in sight following failed peace talks in early February, the unsettled status of Ukraine threatens to divert attention away, if it has not already, from the geopolitical complexities of the Caucasus region, a chaotic crossroad of ancient hatreds and new ambitions where Europe and Asia collide. 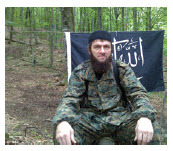 One small, but potentially disruptive player in this unique political ecosystem is Ali Abu Mukhammad, the self-styled Emir of the Islamic Caucasus Emirate. Mukhammad was born as Aliaskhab Kebekov in Dagestan, a Russian republic that borders the former Soviet republics of Georgia, to its west, Azerbaijan to its southwest and the Caspian Sea to its east. Home to a multitude of ethnic groups that speak a mélange of languages, this southernmost region of Russia has been the site of an Islamic insurgency since at least the late 1990s and Mukhammad is only the latest militant leader who has declared jihad against the Russian infidels. In fact, Mukhammad’s public profile has been rather low since he replaced Doku Umarov, whom Russian security forces killed in March 2014. But if Mukhammad himself has been lying low, it would be a mistake to question the reach and ruthlessness of the Islamic Caucus Emirate. According to Stanford University’s Mapping Militant Organizations website, the group first emerged in 2007 when Mukhammad’s predecessor resigned from his position as president of the Republic of Ichkeria, the secessionist government of the neighbouring Russian republic of Chechnya. Drawing inspiration from Salafism, the group seeks to establish a Sharia-governed territory that stretches across southern Russia. It has since expanded this nationalistic agenda by joining the global jihad movement in 2009 following a leadership meeting. This move ended feuding with the Riyadus-Salikhin faction that had staged attacks in Moscow (2002) and Beslan (2004) and extended institutional ties with al-Qaeda. Briefly, the former attack saw 40 armed Chechens storm the Dubrovka Theatre, where they took 912 hostages. A rescue staged three days later led to the deaths of all hostage takers, but also 130 hostages. The latter attack, meanwhile, led to the deaths of 331 people, including 186 children, after Chechen separatists held more than 1,000 children and adults hostage. In both cases, Chechens were responding to Russia’s heavy-handed response to Chechen independence. But if this relationship suggests a subordinate role, the Islamic Caucasus Emirate found its own deadly way of garnering headlines on Dec. 29, 2013, when it staged two separate suicide bombings in Volgograd, Russia, killing 34 people. The attacks occurred just weeks before the start of the 2014 Winter Olympic Games in the Russian Black Sea resort town of Sochi and prompted condemnation from countless quarters, including then-NATO secretary-general Anders Fogh Rasmussen, who promised that NATO and Russia would stand together in the fight against terrorism. In light of the current Ukraine crisis, Rasmussen’s promise reads like an artifact from a long-past era of Russian-Western relations. Dr. Wolfgang Depner recently graduated from the University of British Columbia, Okanagan Campus, where he has taught Canadian politics, international affairs and political theory.